Datanet Systems has received an approval for acquisition of the printer business of WeP Peripherals by issue of 11,741,964 equity shares to the shareholders of WeP Peripherals as consideration for this acquisition. The board at its meeting held on December 17, 2011 has approved for the same. 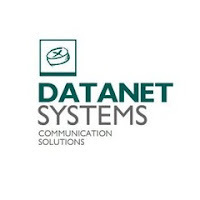 Datanet Systems specialises in the design and development of Workflow/BPM Software, Multi-application Smart Cards, Smart Card based ATMs and Banking Application. WeP Peripherals, one of India’s largest employee-owned companies, started primarily with Dot Matrix Printers, is now diversified into emerging and growing segments including Power Solutions, Retail Solutions and After Market while continuously strengthening its portfolio of printers.